If a legal concern involves your family, your financial security, your freedom or all of these, it matters to me. 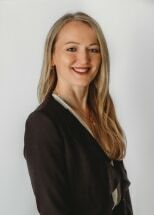 I am Monika Blacha, an attorney practicing in Illinois since 1999 who will treat you with care and respect as we help you achieve your most vital family-related personal and financial goals. Every working day, I apply an outstanding education and extensive experience in negotiations, mediation and high-stakes litigation to resolve my clients' legal issues as favorably as possible. My clear mission is to provide the utmost in personally attentive, results-focused counsel in matters of divorce, family law, family law immigration and estate planning/probate. I am a certified family law mediator available to serve in that capacity or put my proven dispute resolution abilities to work as a dedicated advocate for you. I strive to achieve affordable, nonadversarial resolution whenever possible but always stand ready for litigation if that is the necessary path. Similarly, I am able to negotiate from a position of strength out of court with the prosecutor's office, or fight vigorously should your case go to trial. Call me today to start helping you stand up for your rights and get what you want from our legal system. Monika was thorough, kind, patient, and incredibly helpful throughout the entire process of my divorce. She made a very difficult time in my life much easier - I would highly recommend her.